Guest Blog Post: Austin Writers are HOT, HOT, HOT! The Romance Bookshelves—Austin Writers are HOT, HOT, HOT! Last month, Romance Writers of America, a professional organization of ten thousand writers, gathered in Orlando to hand out their prestigious RITA awards for the best in romance fiction. One of the winners named was Austin’s own Cheryl Etchison for Best First Book with Once And For All: An American Valor Novel. The American Valor series are contemporary romances featuring the lives and loves of the members of the 75th Ranger Regiment. Each book can stand alone or be read as part of a continuity. Along with Once And For All, Book People also has book two Here and Now and the latest of the series From the Start. Etchison takes tried and true plots and freshens them with sharp characterizations and her unique wit. I’m a fan and I know you will be, too. By the way, you can check out what other romance novels were singled out for awards on the RWA website. 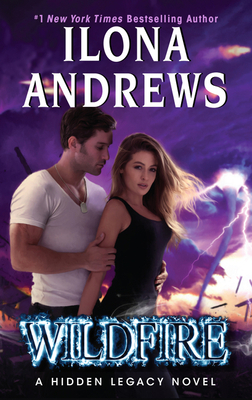 And, in keeping with our Austinite theme, the husband and wife team known as Ilona Andrews’ latest installment of the “Hidden Legacy” series, Wildfire, hit both the USA Today and the New York Times list. Wildfire is the follow up to early summer’s White Hot. Here is the series run down: Nevada Baylor is a detective with a magician’s skills. Her secret power is that she knows when people are lying. No, really, she does—well, everyone save billionaire Connor Rogan. His magic is more powerful than hers and yet together they are an unstoppable force. Think of Eve and Roarke except in a paranormal world. Yes, the chemistry between the main characters is just that strong. Not Austinish, but important! I feel it imperative to give you a heads up that the Season 3 premier of “Outlander” is September 10. Did you come to this series by reading the books? If you didn’t, I urge you to give at least one of them a try. Diana Gabaldon is the finest writer out there in any genre. She doesn’t just write her stories; she weaves them. The fascinating details of history come along with a touch of fantasy, romance, mystery, and suspense. And, unlike George R.R. Martin and Game of Thrones, she is ahead of the filming. Outlander is book one. Give the first five pages a try. Yes, it is a thick novel but, oh, so worth it. Any Dream Will Do is Debbie Macomber at her best with her trademark spiritual optimism. Shay committed a crime to help save her brother. Now, after prison, she has to put her life back together but does she dare to dream again? Another Austin writer in the mix: Jamie Jones’s contemporary Lesson Plans is on the shelves. Jasmine Landers wants to make a difference in children’s lives. She leaves the world of modeling to become a teacher. However, education comes with benefits when she meets the new principal. For both of them, lesson plans are out the window as they discover an entirely new “curriculum.” Who says teachers don’t have fun? Book Group! We held our first meeting Old School Romance Book Club-Austin. A dozen Romance lovers met in the café and had such a great time, Book People will be giving us our own room on the 3rd floor. Come join us! We will meet again Sunday, August 20th at 3:30. We will be discussing humor in books and will be comparing One Dance With a Duke by Tessa Dare with Jenny Crusie’s Welcome to Temptation. Both books are on BookPeople’s shelves.